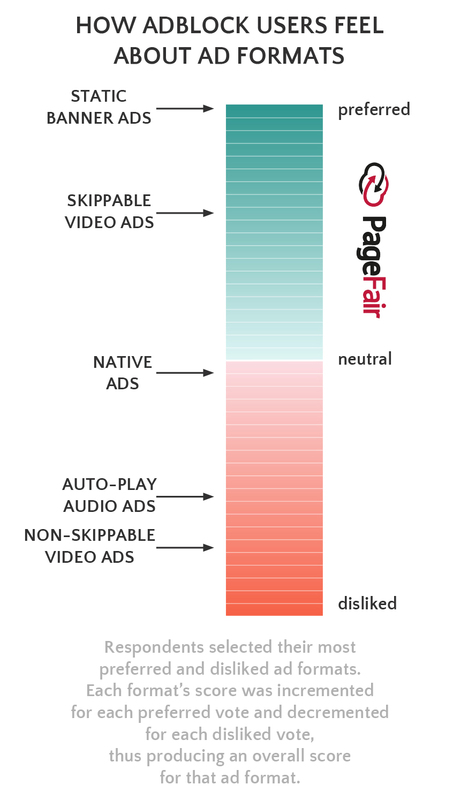 Several days ago PageFair (the industry leading anti-adblocking authority and solutions provider) issued a traditional report on ad blocking. The presentation is very interesting, although we must say that we do not agree with all the data and conclusions provided. Anyway, from this report you will find out how people get to know about ad blockers, how many women/men there are among ad blocker users and much more. 30% is the global growth in adblock usage (Dec 2015 - Dec 2016). 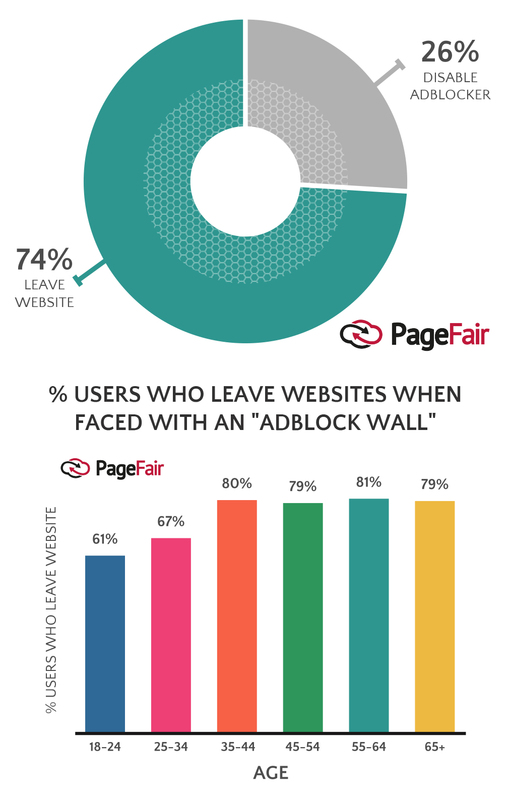 77% of adblock users (USA) are willing to view some ad formats. In December 2016 there were more than 600M devices blocking ads, 62% of which were mobile devices (380M). 94% of mobile blockers users are in the Asia-Pacific region. We need to say that the "380 million mobile blockers users" figure is quite questionable. 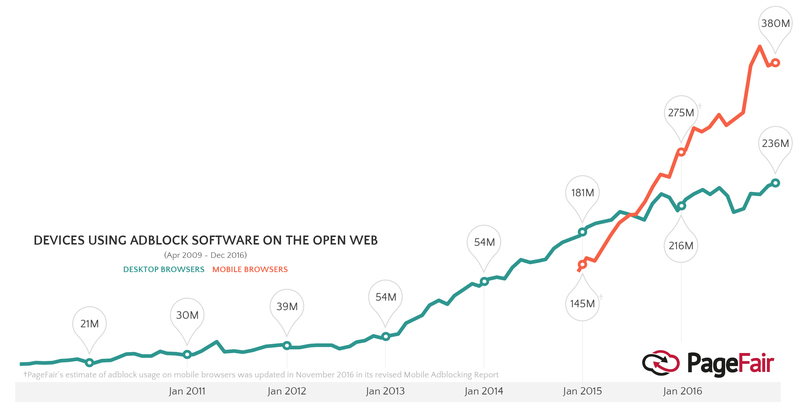 It mostly presents ad blocking browsers users, UC browser in particular. This browser is very popular in China and India, mainly through contracts with manufacturers of mobile devices. However, the quality of ad blocking (in our opinion) is far from perfect. For mobile devices it would be correct to split blockers into "browsers with an ad blocking feature" (such as UC), and "ad blocking apps." The share of applications worldwide is very low thanks to the efforts of Google. Whereas the share of browsers is huge only in China and India and is unlikely to show any similar dynamics in the "Western" world. "Previous analyses by different organizations showed significantly higher rates of adblock usage among young males. These survey results now indicate that adblock usage demographics are either broader than previously anticipated, or that adblock usage has become more mainstream." This map shows global "adblock penetration per online capita". 3) How do people know about ad blockers? Interestingly, men learned about ad blockers from the internet, news, or media twice as frequently as did women. And the most common way that women learned about adblock software was from a family member. 4)Why do people use ad blockers? Firstly, users are concerned about security. Almost the same number of respondents said "Interruption," meaning irritation by intervention in their web surfing. 16% installed ad blockers for speed (banners slow down page loading). 14% of surveyed answered that there are simply "too many ads." And others mentioned privacy and poor frequency capping. 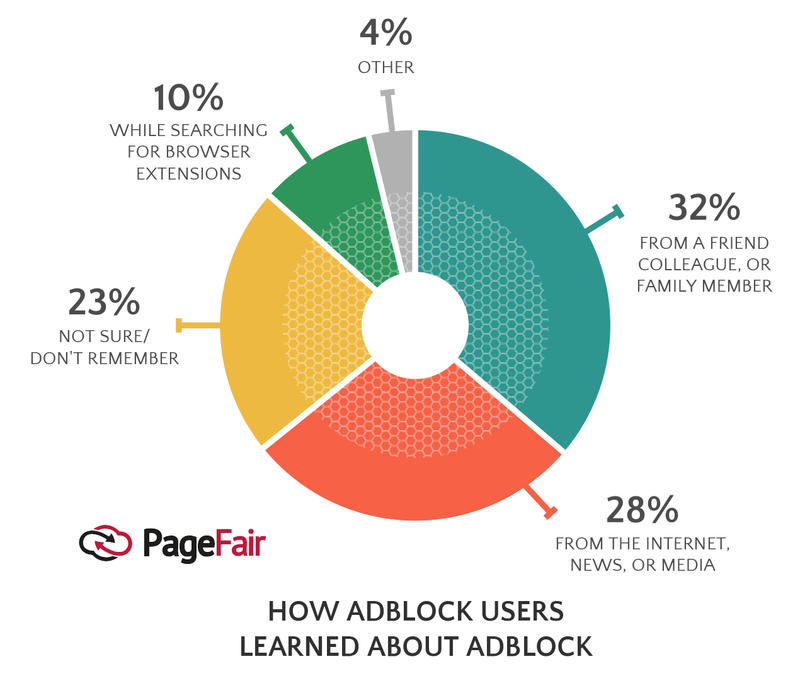 45 in 100 American adblock users surveyed have a bachelor’s degree or higher. "Adblock users in the US are 1.5x as likely to have a bachelor’s degree than the average American adult, increasing to 3x as likely among 18-24-year-olds. Pronounced adblock usage among college-age respondents points to campuses as a major vector for adblock adoption". Also, look at the 'age' distinctions. 18-34-year-olds are less tolerant towards sites with adblock blocking. What do you think about this report? What do you agree/disagree with? Share with us in comments. There is an Adguard app for virtually every major platform out there, and we regularly release updates for all of them. This would not be possible without beta testing and, more importantly, beta testers. Want to become one? Here’s how you can do it. It's happening! Good news for Edge users, you can now install our extension and use your new favorite browser ad-free.